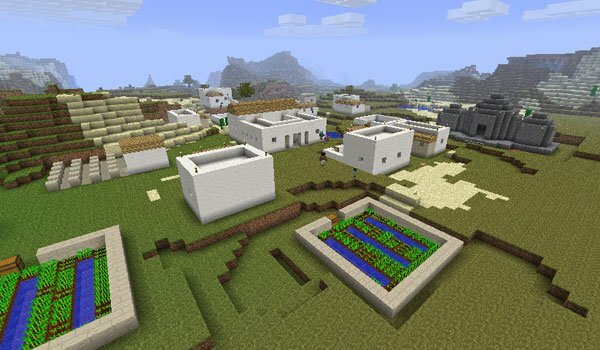 Another awaited update to Minecraft that will allow us to interact with several new cultures. Millenaire 1.7.2 and 1.7.10 will certainly length your game hours, because of the aggregation of cultures, peoples and NPC’s. Surely will explore much more than before, finding new things exclusive from this mod. With this new civilizations or cultures we interact, helping to build their towns and cities through trade. While we work together, will develop new buildings with different functions, meanwhile the population will increase. The population consists of children, men and women, who will play and grow while civilization develops. How to install Millenaire Mod for Minecraft 1.7.2 and 1.7.10? New cultures, buildings, towns and trade in Minecraft! hi dude.just put the mod as a zip file at the mods place and extract the mod.que the zip and the extracted files at the mods.this worked for me.